We provide services that are driven by genuine care for our community, each other and the laws we are trusted to uphold. The Fargo Police Department is the largest municipal law enforcement agency in the state of North Dakota. 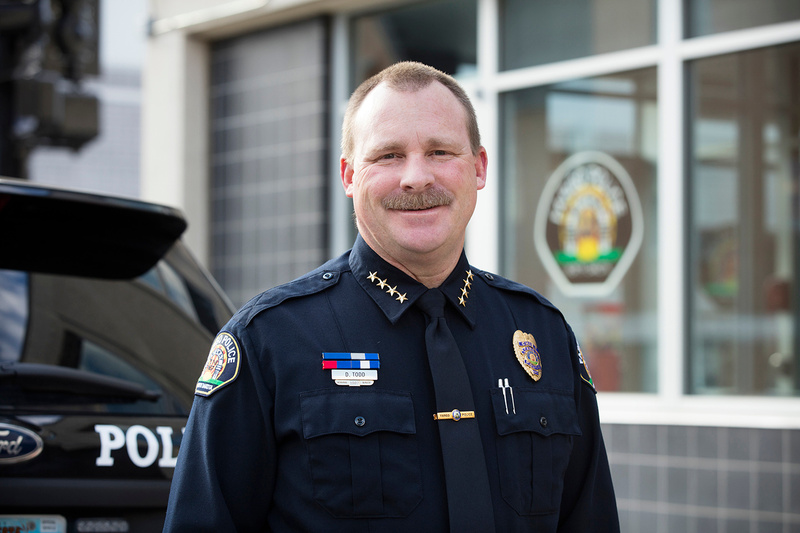 The Fargo Police Department is authorized to have 181 sworn police officers, five community service officers, 12 support specialists, a crime analyst, a quartermaster, two crime prevention and public information officers, a property and evidence manager and assistant, and a police operations technician. Sworn police officers patrol 48.2 square miles, serve 120,762 (2016) citizens, and responded to 88,565 calls for service in 2018.